I've been in the marketing world for quite some time and over the past few years, I have watched email marketing undergo a metamorphosis. Email newsletters used to be a dime a dozen, and then there came a point in time (2017? 2016? I'm not really sure) when it seemed like they were backburnered while marketers focused on exploring new trends. Now the dust appears to have settled, and I’m finding that the OG of digital marketing is making a comeback. 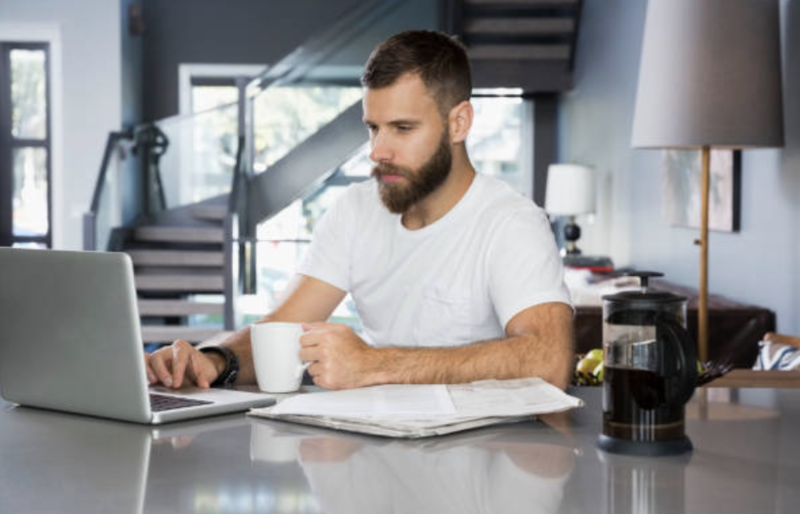 Here’s the scoop on why marketers are turning back to email marketing newsletters and how you can create a newsletter that your audience can’t get enough of. While there seem to be an endless stream of headlines proclaiming the "death of email," I personally look forward to getting my favorite email newsletters each time I check my inbox. Given the frequency with which social media platforms such as Facebook and search engines like Google change the rules of the game, the best marketers ensure that at the core of their strategy is building out an "owned" audience. Email marketing allows us to do just this. When you collect and store your audience's email addresses in your CRM or database, you control your ability to connect with them. By contrast, the fans and followers you gain on your social media channels are not an OWNED audience. Users can mute your efforts by unfollowing or unfriending you, and social platforms like Facebook, Twitter and LinkedIn can have a direct impact on what your followers see by changing their algorithms. We hear time and time again that our culture craves instant gratification. When it comes to content, this means that people want things fast and concise. A good newsletter is able to deliver this to its readers. While newsletters tend to go out once a week or even just once a month they can still deliver everything a user needs. For example, LinkedIn has a new blog called The Water Cooler where they share a monthly report on the top articles published on their site. Although people are not getting updates on these articles in real time, they are able to review all of the best blogs instantly in one spot. The bottom line - they don't have to do the work. The report shares everything they need to know in one place, once a month, in a clear, to-the-point report. Great newsletters are able to do this too. Digital marketing is changing at a lightning fast pace, but one thing that has always held true is that people want to feel like they are being spoken to as an individual in an authentic and personalized manner. A truly fantastic newsletter has the ability to speak to the individual and make them feel that you are invested in them. By focusing on content that adds value to your audience, you are showing them that you know who you are speaking to, care about their interests, and are aware of what they want to hear about. The brands that do this well establish themselves as go-to, trusted resources. Email newsletters allow companies to share valuable content and updates, and in doing so, create trust with their audience. Given the tremendous volume of email that we are confronted with every day, how can you stand out rather than adding to the noise? The best newsletters save their readers time and effort by taking on the heavy lifting of finding what is most important and presenting it to them in a way that delivers added value. Last September, the marketing team at IMPACT decided to just that when it launched our new thrice weekly email newsletter, The Latest. Prior to that, our subscribers could opt into a daily blog digest, which simply gave readers an automated feed of our most recent blogs. Now, our newsletter goes beyond just articles to incorporate can’t-miss new videos, podcasts, tools and templates, live and on-demand webinars, info and highlights from industry events, and exclusive content subscribers will have access to. When we decided to create our own email newsletter, we took inspiration from these best-in-class email newsletters that our team loves to see in their inboxes. 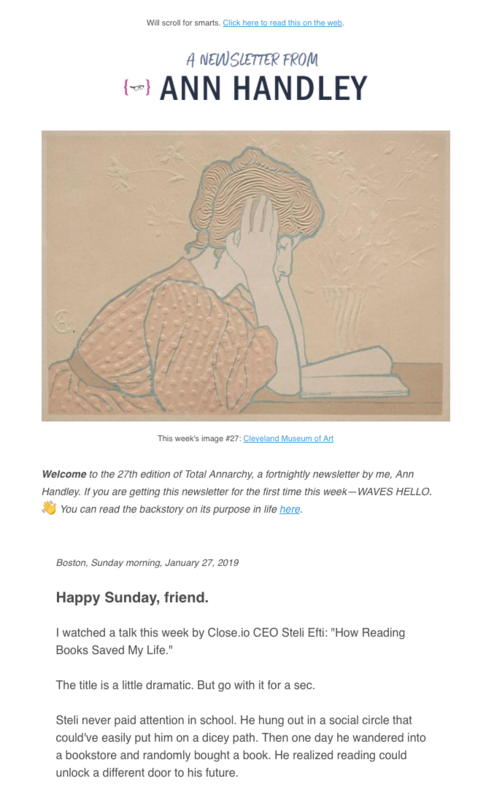 Ann Handley’s Total ANNARCHY is an incredible example of a very personal newsletter. Ann is a legend in the marketing world. She is the Wall Street Journal best-selling author of Everybody Writes and Content Rules, a Partner at MarketingProfs, and a sought-after marketing keynote speaker. Her newsletter takes a creative approach to its bi-weekly delivery. Rather than a simple compilation of articles and updates, it is a letter from Ann herself. Everything is presented with a conversational tone. As the recipient, I feel like I am getting the scoop from a friend - and I love it! The Daily Carnage pumps out valuable marketing content to your inbox at the start of each day. 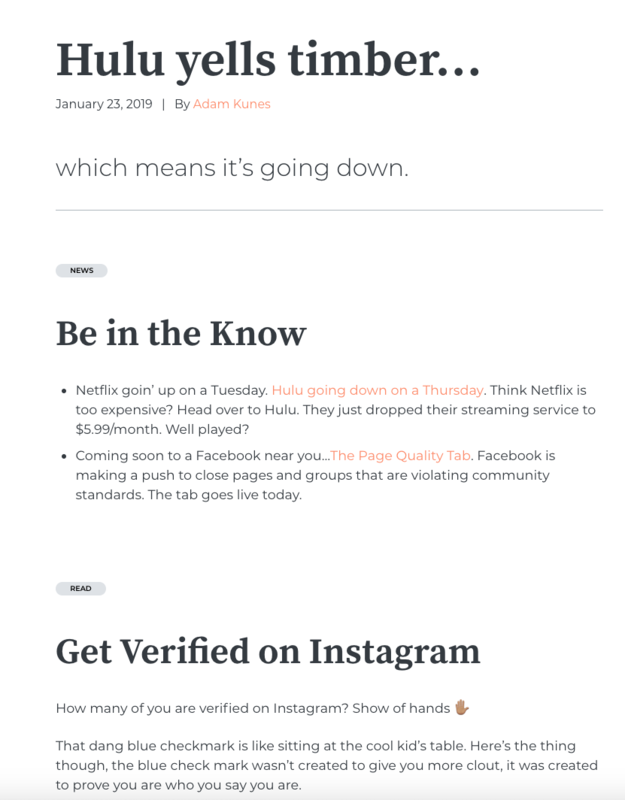 The newsletter itself is broken down by category, such as news, read, tools, and watch, with links to dig deeper into each piece of content if you have the time and inclination. The Daily Carnage's conversational tone makes you feel like you're getting the scoop from a friend or colleague. This newsletter is rocking it - valuable content that readers will look forward to receiving. What IMPACTERS are Searching For In A Newsletter…. When I reached out to my teammates to ask what a great newsletter looks like to them, they quickly responded without any hesitation. One key factor driving the comeback of the email newsletter is a renewed focus on quality over quantity, and a commitment to eliminating “marketing speak” in favor of conversational copy and a more personalized approach. Make it valuable: A standout newsletter provides readers with content that matters. Think about this when selecting what is going into your newsletter and take a "less is more" approach. It is also important to consider that valuable content does not only come in the form of written copy. Explore video, images, and even podcasts to be shared in your newsletter. If your audience would benefit from it, include it. Make it personal: Great newsletters are able to make the reader feel personally invested. Some ways we have seen this done in include sending the email from a person (as opposed to a company) or using a conversational tone. Today, newsletters are so much more than a list of company updates. They are a valuable component of any digital marketing strategy and should be treated as such. The next time you go to create an email newsletter, ask yourself - are you providing your readers with added value, are you speaking to them and not at them?